The Aleph Institute - N.E. Regional Headquarters No One Alone, No One Forgotten. Aleph has demonstrated the leadership initiative necessary to challenge the status quo thinking on sentencing. In the process, it has gained the attention of jurists, academics, members of the bar, and prison authorities. Specifically, it organized and co-sponsored a Symposium on Departure Advocacy in conjunction with the Cardozo Law School. The Benjamin N. Cardozo School of Law is the law school of Yeshiva University, located in New York City. One of the most respected jurists in America utilized this public forum to address the need for humanizing Federal Guideline Sentencing procedures through departure, and commended Aleph's contribution to the process. "Because the Sentencing Guidelines require, in the main, cruel imposition of excessive sentences and unnecessary micromanaging of sentencing, overfilling our jails and resulting in unnecessary havoc to families, society and prisons, most judges of Eastern and Southern Districts usually begin as I do by asking ourselves, how much of an excess does the applicable Guideline represent and how can the sentence be reduced to a reasonable level for this defendant. Rabbi Lipskar and his associates have done the Lord's work in at least beginning to break down the spiritual walls that surround our prisons. They have retaught us by word and act that each person in prison is entitled to full dignity and a chance for spiritual fulfillment. 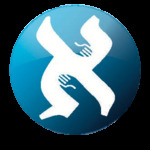 For some at least, and this includes the sentencing judges, Aleph's compassionate work makes it possible to better bear and resist the horrors of the excessive and cruel imprisonments that prevail in our society." - The Hon. Jack B. Weinstein, U.S. District Court, Eastern District of N.Y.
Aleph's agenda extends to fighting for reasonable and productive laws, guidelines, and governmental codes for treating individuals facing sentencing. To further these goals, representatives of Aleph continually meet with government officials on a variety of levels. This includes the chairperson and members of the U.S. Sentencing Commission, the chairman of the U.S. Probation Office, district court and appellate Judges, the director and central staff of the Bureau of Prison, representatives of the U.S. Justice Department, state correctional administrators, and legislators.